Mine is a sports family, no doubt about it! Like many, we believe that team sports can build your child’s character, teach them perseverance, leadership, self-control, and offer many more wonderful attributes. In any season, sports are excellent for kids, and certainly an asset. I have also come to the painful realization that there can be such a thing as too much of a good thing though, which is why our family, as sports crazy as we are, do not allow our kids to play organized sports year round. My youngest son’s baseball season just ended in the All-Star season (the ‘post-season’, if you will), just one win shy of going to the World Series! We went so far, and were devastated to lose. After a seven month season, it was hard to say goodbye to baseball, even if it’s just for a little while. But without as much as a gasp for air, we found ourselves prepping for football season, which started the very next day. The same day that their season ended, with no time to mourn, we immediately headed to the sporting goods store to load up on football gear. January through November is grueling for us. That is a long stretch, but there is no rest for the weary! Or is there? When my oldest son was about his age, he played year round sports. Baseball in the spring, on the All-Star team in the summer, then soccer and fall/winter ball. There was very little time for rest and this went on year after year. One day out of the blue, he decided he wanted to quit the sport he loved the most, which was also the most mentally challenging, baseball. We were shocked, bewildered and so sad! Why in the world did he want to give up on his baseball dream? He’s worked so hard. We had a long talk with him, and after hearing him out, he admitted that he wanted to quit because he.was.TIRED! Physically and mentally, just drained. After a season break, much thought and prayer, he eventually came around and played again the following year, but it was definitely a wake-up call for us. Sure, the kids are doing what they love, and we love watching and supporting them, but we knew we had some time management to do. This theme is repeated in scripture and for good reason–God doesn’t want us to get overwhelmed and lose sight of what really matters. He understands that we are created to work hard, but we are not perfect, we will need time to reset, reflect, and relax. More importantly, time to focus on Him. Sports can easily take a toll on our relationship with God, even for the most faithful. We miss church for games from time to time, we can be too tired to read the bible and fellowship. Of course it’s not impossible for kids to stay close to the Lord while balancing school and sports, but it takes lots more discipline, and guidance from us parents. 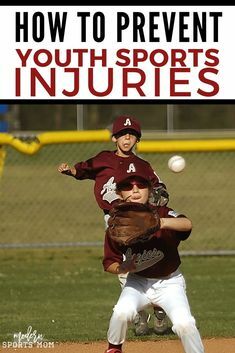 Our kids play multiple sports, although their main focus is baseball. Using different muscles and learning varying skills is important, we want them to be well rounded. We want them to have options, and to pursue all of their passions. Without rest or breaks in between though, this can lead to mental and physical exhaustion, we learned this with our older son. It’s been our belief as parents that taking a long sabbatical from rigorous practice and game schedules is crucial, the body needs time to heal. More importantly in my opinion, the kids need a mental break. Less regiment, more carefree living. They are able to be silly, and play without stress. As any kid will tell you, a pick-up game of basketball in the driveway is much less nerve wracking than participating on a team where the only goal in sight is to make it to the play offs! Therefore, starting around Thanksgiving, through mid January, there are no organized sports of any kind. Nope, he cannot join his friend’s basketball team. Nor will there be any soccer, swimming, underwater basket weaving, nada. What there will be is plenty of ‘hanging with the fam’ time as we enjoy the holidays, recoup, and yes, intentionally seek Him more. It’s been said time and time again, sometimes kids just need to be kids. Knowing that there will be plenty of time for the hustle and bustle of team sports during most of the year, we aim to give them plenty of time to do just that! Do you give your kids a ‘hard-stop’ for sports at some point in the year? Do you let them play all year long?